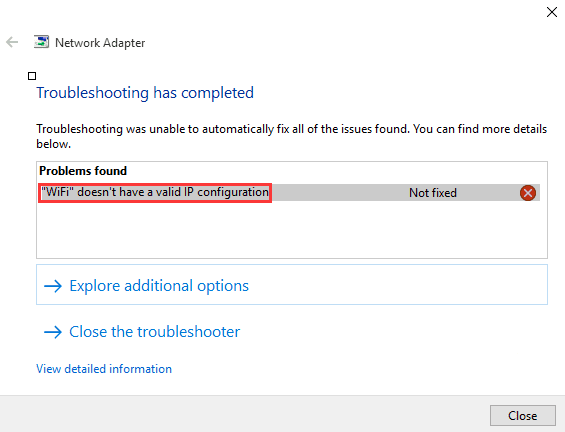 Some windows 10 users having issues with their Wi-Fi not being able to get valid IP configuration. Sometime inputting IP info manually can solve the problem but what if you are in the hotel and know nothing about network structure. Here is quick tips on how to fix this issue.